Your household budget is one of your most important financial tools in life. If done right, it can help you reach your financial goals in life whether it is short term or long term dreams. It can show you what you have every month and if you are using your income to the fullest. It can also show you how you are racking up all those debt and loan payments. But just as it helps you reach your goals while giving you an overview of your finances, it can also be one of the reasons that keeps you in debt. Mismanaging your budget can quickly drain your finances and put you in a dangerous financial situation. Mismanaging or not having any budget can pull you away from your dreams and keep you in debt. Financial management is easier when you get serious in managing your budget. It will not be an easy task but when you pour in time and effort to make it happen, you will feel the benefits when it comes to your finances. And the more you keep at it, the better you become in managing your own finances and the bigger your chances of realizing your financial dreams. As Newyorkfed.org explains that the total household debt went up by 0.2% in the first quarter of 2015. This means that more and more people are taking on debt. Some may argue that there are good kinds of debt but as a general rule, try not taking on debt. If you can pay for what you need with cash then do so. It will help you manage your income a lot better. When you want to start managing your household budget, here are a few tips that you can consider looking into to help you with juggling your finances. List down your income. Forbes.com shares that electrical engineering graduates has the highest annual salary with an average of $57,000. But that is not the only source of income for some consumers. There are those that follow their passion and find a way to earn off of them. Some bake cookies and cupcakes and sells them on the side while those who loves taking pictures sells some of their photos online for extra cash. There are also some savvy investors who are able to earn extra money every month. You need to make sure that you are able to account for all your sources of funds to balance your budget accordingly and to also pay the right amount of taxes. Evaluate your expenses. After you have jotted down your income, net comes your expenses. Just as you took in all sources of income, you also need to do the same with your expenses. 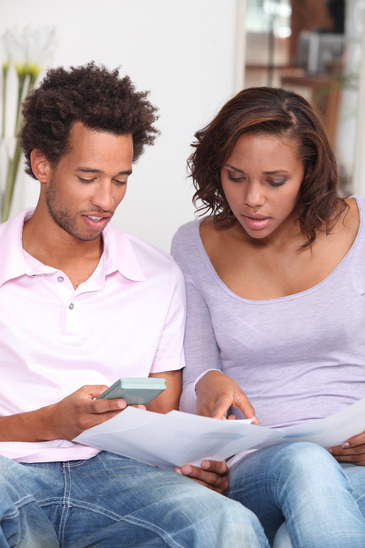 You need to account for all your expenses because the last thing you need is an unpaid bill or card statement. That can snowball into bigger payments because of all the fees and interest that can be added on to the next payment. List down all your expenses so you can see how your income pares up with your expenses. Cut down on costs. As soon as you have your income and expense ready in your household budget, the next thing to do is to ensure that your income is more than your expenses. This seems like an easy task but there are a lot of people who are having troubles making ends meet. If ever you find yourself in that situation, you can either increase your income or lower down your expenses and between the two, cutting down your expenses is way easier can can be done quickly. Try saving electricity or planning your meals. You can even cut down on coffee from your favorite store or those expensive meals with friends. Making small changes can help you cut down on expenses at the end of the month. Save for a rainy day. One great way of using extra funds in your budget if you have any is to set aside some money for your reserve funds. This is your financial cushion when you experience emergencies in the future that directly impacts your income. Your reserve fund is made up of your emergency fund and rainy day fund that both have the same objective but solves different levels of financial emergencies. When it is as serious as job loss or medical emergencies, you would need to rely on your emergency fund. Smaller unscheduled expenses would be for the rainy day fund like minor car repairs or supplies at home that ran out before grocery day. Stick to your budget. Putting together a budget for your household is just one part of the equation. You need to be able to stick to your budget to make it work. If you made a grocery list before heading on out to buy supplies, it would not be too much of a help if you just keep it in your pocket the whole time you are buying supplies. You need to make sure that you buy what is on the list to stay on budget. The same goes with your household budget because you have to ensure you use your money according to budget. If you go over your budget, you end up with bigger expenses that income and end up with a deficit. A few of this in succession and you find yourself in debt. Know when to make adjustments. One of the constant things in this world is change and even with your budget, you need to know when to make those adjustments. In fact, most of the budgets that survive the most challenging situations are those that are able to adjust with the times. You need to realise that your budget would need to change over time as your needs change. Your income might go up or down the same with your expenses so you need to tweak it over time. As you manage your budget, it is good to have an idea on the most common problems consumers face with their money management. Here are a few of them that you can learn about. Thinking the cheapest is always the best buy. Being frugal is a great attitude towards budgeting but you need to know where to draw the line. There might be a time that you are getting cheap instead of wise when it comes to purchases. Lifestyle inflation with increase in income. One of the financial mistakes that you can unknowingly make is increasing your lifestyle as your income increases as well. It might be frequenting that restaurant more often or upgrading personal items even though the ones that you are using are working just fine. Guard your expenses when your income increases to limit unnecessary spending. Rolling-over card payments. Creditcards.com shares that an average consumer that carries a card balance is looking to roll over $7,000 card debt. This accumulates fees and charges month to month until you pay off this debt. Focusing on mortgage payments. This might be surprising to know that aggressively paying down mortgage loans could be doing you more harm than good. This is because there is a big chance that your mortgage loan carries the lowest rate and if you prioritize it over your retirement fund or even an investment, you are missing out on high returns. Managing your household budget is no joke and you need to be on top of everything to make sure that you juggle your income and expenses properly. There are tips to help you along the way and it would also help to know some of the most common budgeting mistakes people make to manage expectations.